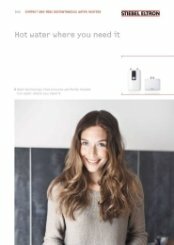 Wherever smaller volumes of warm water are frequently required, the mini electronic instantaneous water heater is the perfect choice. The DEM delivers water at the electronically controlled set temperature without having to overcome long supply lines with resulting line losses. There are also none of the common water and energy losses resulting from manual temperature adjustment. 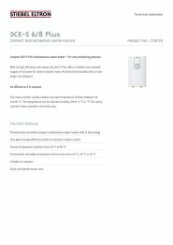 Consequently, the DEM electronic is ideally suited to washbasins, where a constant outlet temperature is preferred. The appliance can be mounted undersink or oversink; connection to the 230 V mains is also easily accomplished. 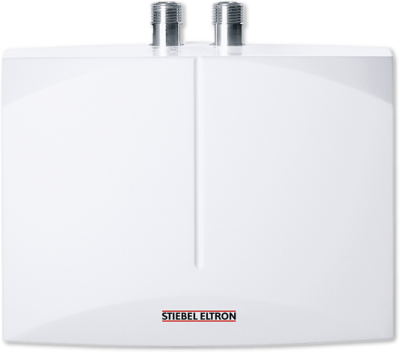 Included: 1 x Stiebel Eltron DEM Adapter and 1 x Stiebel Eltron DEM Washers 10 x 2 x 1. 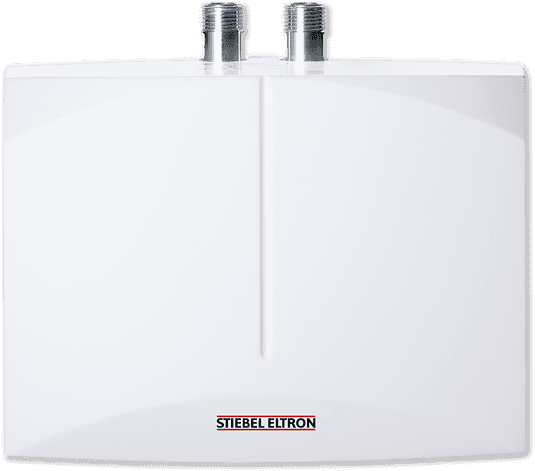 Why choose the DEM 4 unvented mini instantaneous water heater? Temperature limit adjustable between 30 °C and 50 °C approx. Water connection G 3/8 A "